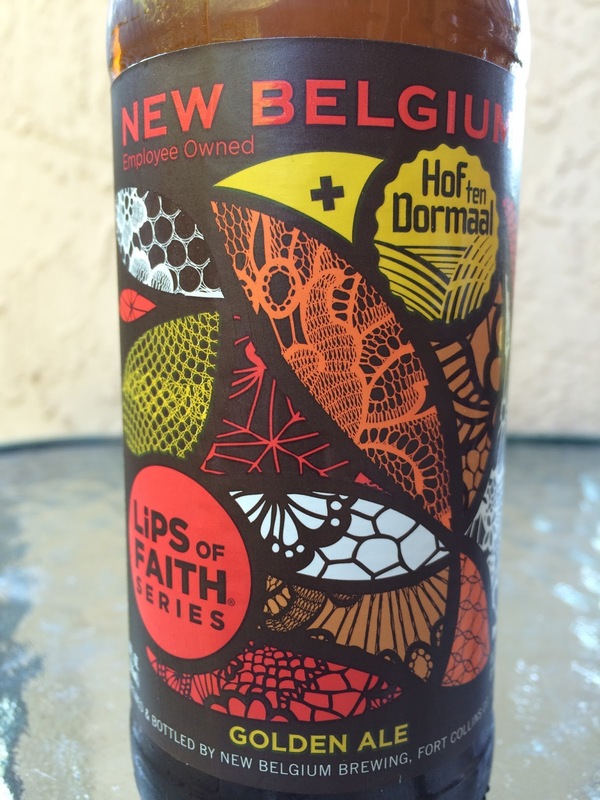 Today I'm checking out New Belgium's collaboration beer with Belgium's Hof Ten Dormaal. 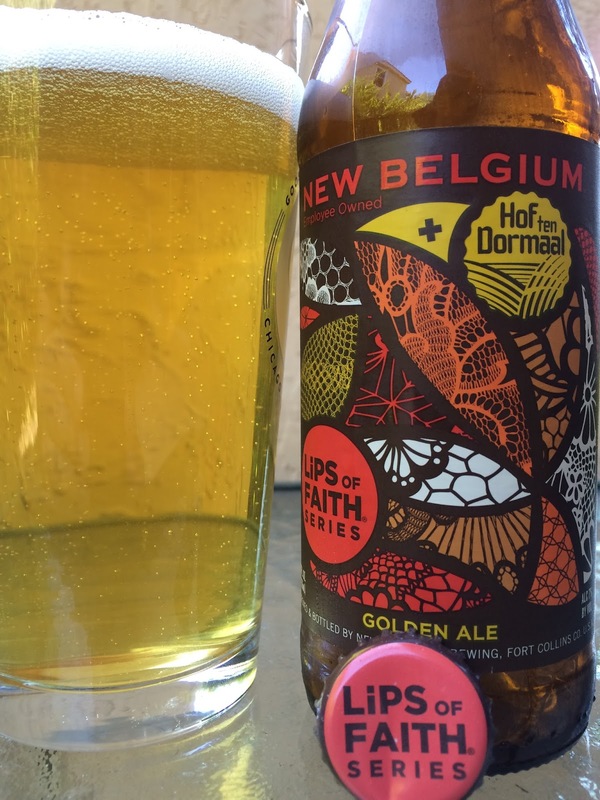 This is a Lips of Faith Series Golden Ale brewed with sunflower seeds and carrot herbs to create a beer that brings old and new Belgium together. I'm a pretty smart guy but can't figure out the enjoy by date. Label art is interesting. 7% alcohol. Grainy sweetness, buttery, very interesting aroma, perhaps a hint of carrots. Definite sunflower flavors start, a little waxy too. Floral, herbal, grainy sweet and a bit peppery and spicy. Grassy bitter balance follows. 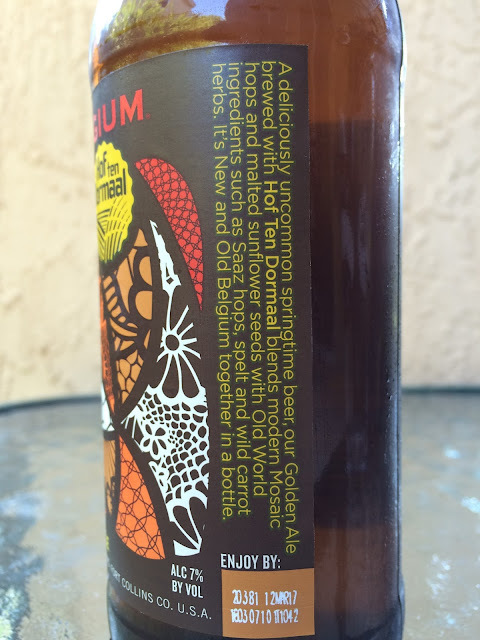 Sunflower flavors are definitely a standout. And the carrots, whatever. My mom said, "I smell the carrots but can't taste them." I concur completely. My interpretation is zero carrots, smell or taste. Not in love but a definite A++ for creativity!